(a) The sentient, self-aware “Skynet” AI network that rules over the human population in the Terminator movies represents a common science fiction trope of robots overthrowing and subjugating their human creators. This concept has been explored in a number of classic science fiction works, from theMatrix movies to Isaac Asimov’s classic series I, Robot. This article is written to inform readers about the questions they should be asking about robots, the ones that more accurately reflect the future of robotics and artificial intelligence technology and their possible impacts on society. Think of this as an “FAQ” on robots. “Robot” is a catchy term that most people can intuitively grasp. The problem is that it is purely a creation of science fiction. (b) There is no specific definition or basis in science for the term, and as a result, it can generate much confusion about what is and is not a robot. Such discussions tend to lead to philosophical arguments about the nature of free will and choice, determinism and fate, or the meaning of life. These conversations are fun, but not very useful. A more useful and accurate term is automation. What we think of as a robot is more accurately defined as a “machine that automates physical effort.” Similarly, automation accurately defines computing as “the automation of information processing” and telecommunications as “the automation of messaging information.”1 Ceiling fans, programmable thermostats, cruise control, and construction shovel excavators are all examples of automated physical tasks prevalent in daily life. Even physical tasks with life-and-death consequences, such as autopilot on commercial air flights, have been successfully automated. Automation involves different levels of autonomy. At one extreme are purely remote-controlled devices (shovel excavators, remote-controlled helicopters), relying solely on human operators to direct their actions. This is typically described as teleoperation. On the other end of the spectrum are purely autonomous machines that operate independent of direct control from humans. Efforts to build more autonomous machines have led to a focus on creating machines with artificial intelligence that can “think” using mathematical rules and reasoning. (c) Because the media etches images of robots with human qualities into our minds, people may not know robots when they see them. IRobot co-founder and CEO Colin Angel explained that, when envisioning an automated vacuum cleaner, he had to see beyond household robots based on the Jetsons’ robotic maid in order to ultimately design the less human but more effective Roomba. Science fiction often envisions autonomous robots with the full capabilities of humans, such as navigation of complex environments, dexterous manipulation of physical objects, and learning from experience and instruction. (c) The reality, however, is that human perception and decision-making remain eons beyond what can be automated through computation and engineering. Robots cannot handle the uncertainty caused by the perceptual ambiguity involved in sensing the world, the random aspects of physical cause and effect, and the complex nature of social dynamics. The creativity and ingenuity of people to perceive and act in uncertain situations gives them a huge advantage over the scripted, rule-based nature of automated logic and control. 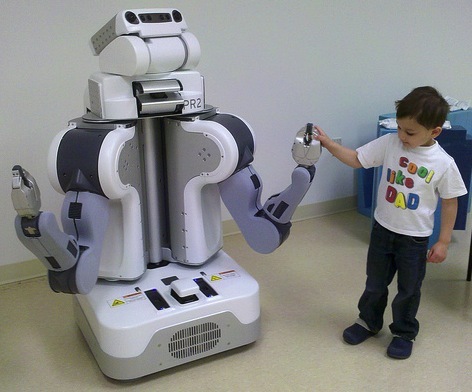 Thus far, automated machines have only matched human capabilities in either highly controlled environments amenable to open-loop control, where motions are executed without regard to sensory feedback (for example, an industrial robot arm in a factory), or in highly prescribed tasks with limited generalizability, where smart design and engineering produce the desired behavior (for example, a robot vacuum cleaner). This raises the question people should actually be asking about robots: “What tasks and activities should we automate?” In other words, “When is automation better than human effort, when is human effort better than automation, and, most importantly, how can we combine the best of both human effort and automation?” Such inquiries have led to the concept of shared (or adjustable) autonomy – humans and automation working together to achieve better results than either could alone.2 The control of various aircrafts, from commercial planes to military drones, is a common example of adjustable autonomy. Automated controls can execute scriptable tasks, such as following a flight path of GPS waypoints, but a flight crew is always needed to handle any exceptional situations that arise. In his lab at Brown University, Chad Jenkins and his students train and program Willow Garage’s PR2 personal robot. When will robots take my job? Depending on the nature of your job, this could be a very real concern. Automation in the form of computers and robots will not completely overtake the human workforce. Instead, these technologies will lead to a shift in the nature of labor, as computers have in recent decades. Technologist Martin Ford estimates that over 50 million jobs in the United States are immediately susceptible to replacement by automated software, a figure that represents more than 40% of the U.S. workforce.4 Manual labor and routine cognitive tasks are already being done by manufacturing robots in factories and self-checkout machines in grocery stores.3 Robots may not only perform existing jobs more efficiently, but also fill needs in fields like elder care where labor is scarce or volatile, or do work that is inefficient, dangerous, or impractical for humans, such as infrastructure inspection and repair. (d) The trend in recent decades has been to outsource manufacturing to countries where the cost of labor is cheaper, but the increasing use of automation could lead to “insourcing” jobs back to the U.S. Robot helpers could enable American workers to be more productive, making up for the higher cost of labor in the U.S.
What should we fear from robots? A more legitimate fear than a complete robot take-over is abuse by the humans in control of robots. On their own, robots will not likely have the cognitive capability to carry out sophisticated malicious actions. People, however, can manipulate robots to engage in destructive behaviors that go beyond what any individual human can do. (e) Terrorist manipulation of robotic systems has become a pressing concern. A notable example is terrorist sympathizer Rezwan Ferdaus’s attempt to reenact the September 11th attacks by flying a large remote-controlled droneinto the Pentagon. While the potential for misuse of robotic weapons systems may be the most alarming possibility, far more mundane automated systems are also vulnerable to hacking, such as “home automation” systems for smart and adaptive lights, refrigerators, garage door openers, and even toilets. To illustrate this point, computer scientists Charlie Miller and Chris Valasek hacked into a Ford Escape, causing it to crash even when the driver slammed on the brakes. Another group of researchers hacked into wireless tire pressure monitors, which can be used to track a vehicle or cause it to malfunction. These experiments make it clear that the risk of hacking and abuse should be addressed during the development of new automated systems. Yet, while we should guard against efforts to manipulate technology to our disadvantage, the overall promise of automation is that it has enormous potential to improve our quality of life. (f) People who have seen movies with positive depictions of robots, such as Bicentennial Man and Wall-E, reporthigher hopes for robots than those who have seen more negative portrayals such as The Terminator and 2001: A Space Odyssey. According to another survey, 70% of people have seen robots on TV and 65% have seen them in the movies. Robotics is poised to generate disruptive technologies across all sectors of society, changing life in our workplaces, homes, skies, factories, and schools, just to name a few. Much of the controversy surrounding these technologies is based on misguided fears. 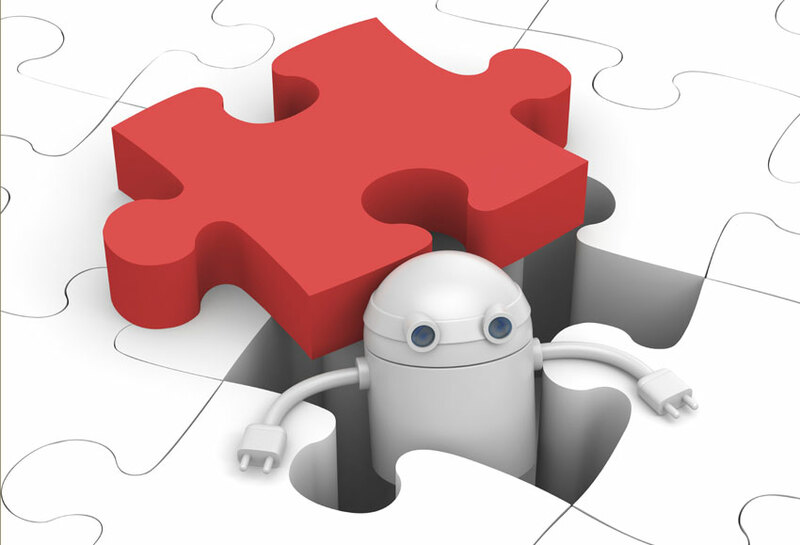 One of the ways in which concerns may be assuaged is through proactive learning about the true capabilities, limitations, and potential uses (and misuses) of robotic and automated technology. (f) The technology of robotics is too useful for fear to suppress its progress. By marrying the true needs of society with an accurate understanding of advanced technology, we can develop innovations that will lead to the equitable advancement of our world. Odest Chadwicke Jenkins, Ph.D., is an Associate Professor of Computer Science at Brown University. Prof. Jenkins was selected as a Sloan Research Fellow in 2009 and is a recipient of the Presidential Early Career Award for Scientists and Engineers (PECASE) and Young Investigator awards from the Office of Naval Research (ONR), the Air Force Office of Scientific Research (AFOSR), and the National Science Foundation (NSF). National Geographic recently featured him as an emerging explorer. His research addresses problems in robot learning and human-robot interaction. Alexandra is a current fourth-year student at Brown University pursuing an B.S. in Environmental Science. She recently worked as a Senior Research Assistant in Computer Science for Brown’s Humanity-Centered Robotics Initiative (HCRI), studying applications of robotics in health care, agriculture, manufacturing, defense, education, and space. Brown selected the HCRI among competing proposals as a Signature Academic Initiative. Thomas B. Sheridan (1992) Telerobotics, Automation, and Human Supervisory Control, Cambridge, MA: MIT Press. Michael A. Goodrich, Dan R. Olsen Jr., Jacob W. Crandall, and Thomas J. Palmer (2001) “Experiments in Adjustable Autonomy,” Proceedings of the IEE International Conference on Systems, Man, and Cybernetics, 3: 1624-1629. Frank Levy and Richard J. Murnane (2004) The New Division of Labor: How Computers Are Creating the Next Job Market, Princeton, NJ: Russell Sage Foundation and Princeton University Press. Martin Ford (2009) The Lights in the Tunnel: Automation, Accelerating Technology and the Economy of the Future,CreateSpace Independent Publishing Platform. Erik Brynjolfsson and Andrew McAfee (2011) Race Against the Machine: How the digital revolution is accelerating innovation, driving productivity, and irreversibly transforming employment and the economy, Digital Frontier Press. Ability to do creative, non-routine work will be a must in the coming automation era. Is this realistic for most workers?